Today we’re at the University of Maryland Eastern Shore to discuss poultry industry expansion, community health and local control, and hear how concerned citizens in the Delmarva region are beginning to organize to keep their rural communities and local waterways healthy. Our panelists include: Dr. Jillian Fry from the Johns Hopkins University Center for a Livable Future; Dr. Kirkland Hall, a long-time member of Somerset County’s NAACP branch and the UMES chapter adviser; Maria Payan, consultant with Socially Responsible Agriculture Project and with the Assateague Coastal Trust; and Backbone Corridor Neighbors Association spokesperson, Lisa Inzerillo. We close out with Centro Ashe, a community rooted herbal education program. Centro Ashé Farm is a medicinal plant sanctuary, homestead, and education center with locations in Southern Maryland and Costa Rica, and is home to hundreds of species of medicinal and native plants, open pasture and forest, fruit trees and more. 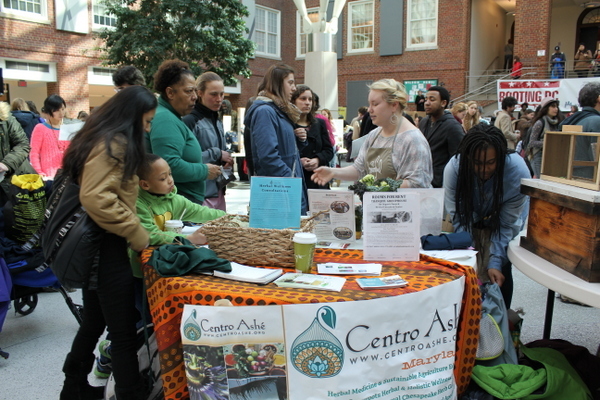 Our guests will be: Molly Meehan, community herbalist, organizer, and Director of Centro Ashé Herbs & Education; and Ayo Ngozi, Clinical herbalist involved with Centro Ashé.